Allows biographies to be built with illustrations for the public view. 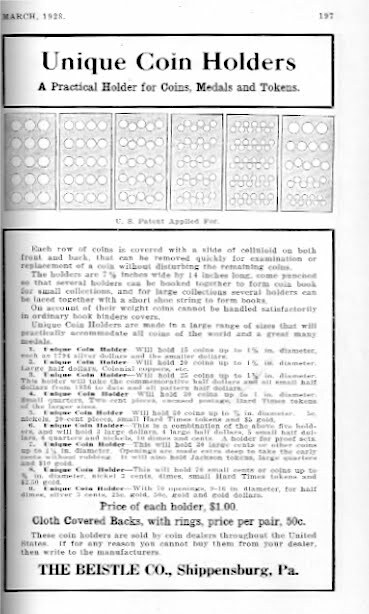 He received his copyright on July 25, 1929 for his book, A Register of Half Dollar Die Varieties and Sub-Varieties; Being a Description of Each Die Variety Used in the Coinage of United States Half Dollars as far as the Issues are Known, Covering the United States Mint at Philadelphia, and Branches at New Orleans, San Francisco, Carson City and Denver. By M. L. Beistle (Shippensburg, Pa., The Beistle company, 1929). Sales of the book began in August and over the next few months was probably crunched by the Stock Market Crash of October 1929. 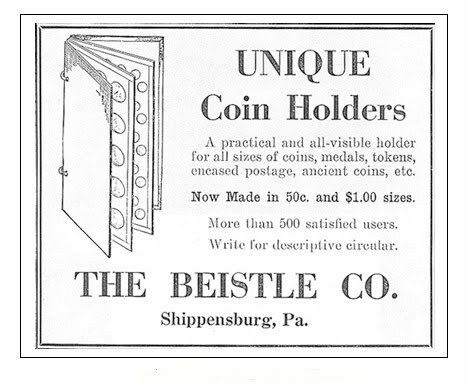 In 2009 the Numismatic Bibliomania Society conducted a survey of the 100 Greatest Items of United States Numismatic Literature, and Beistle's, A Register of Half Dollar Die Varieties and Sub-Varieties; Being a Description of Each Die Variety Used in the Coinage of United States Half Dollars as far as the Issues are Known, Covering the United States Mint at Philadelphia, and Branches at New Orleans, San Francisco, Carson City and Denver. By M. L. Beistle (Shippensburg, Pa., The Beistle company, 1929), ranked 64th on the list.